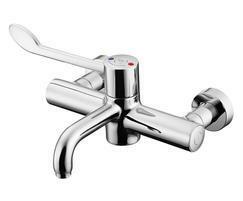 Markwik 21 is an integral thermostatic bib mixer tap, single long lever mixer. Single flow fixed horizontal nozzle, sequential operation. Sequential operation ensures that both hot and cold supply are purged on each use while the long lever gives precise control. Insulated technology keeps the ‘hot’ side of the mixer at a safe surface temperature. 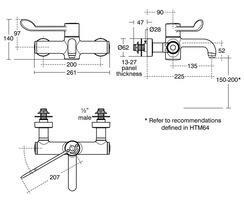 Conforms to HTM64 (2006), PRH 8941.0.6, HTM04-01, HBN 00.09. This product is fitted with an Armitage Bioguard outlet which reduces the opportunity for bio film attachment and is lined with anti-microbial copper. 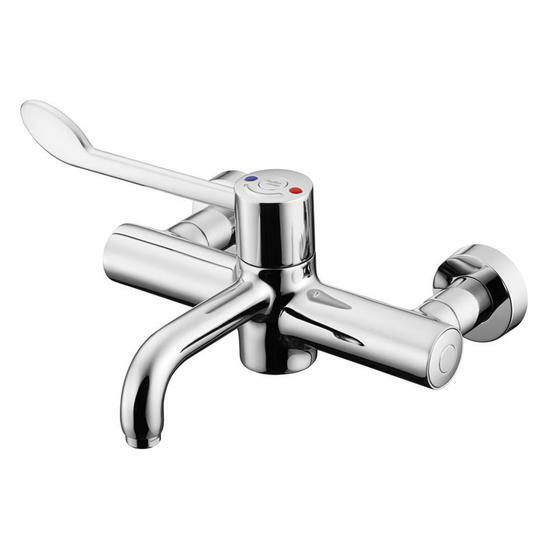 Single lever operates on/off and temperature control. Suitable for high and low pressure systems. Unique built-in thermal disinfection cleansing feature using kit S8239NU a bridging hose which is reusable. A purging tool A4556AA is also available to facilitate initial installation or aid in system disinfection.